Australian up-and-coming artist Eliott has just shared the official music video for her hauntingly beautiful single Calling. 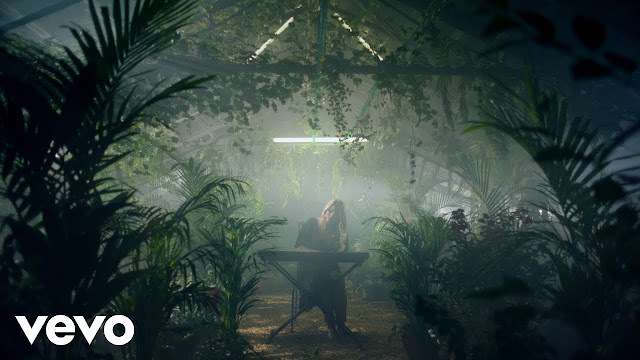 The video, directed by Maddy King, was filmed in a unique location of in the newly built greenhouse at Hillendale Gardens in Yetholme. Watch it below! The first time I heard ‘Calling’ Charlotte, Miller and I were driving around Cobram, scouting locations for her first music video “Figure It Out.” I remember thinking, I can’t wait to listen to this on repeat. Months later, I was lucky enough to get the opportunity to direct the video. We wanted to film the video somewhere unique. Hillendale Gardens in Yetholme was the perfect backdrop. The greenhouse we filmed in is a new edition to the beautiful grounds, which meant we had to bring in extra greenery to achieve the whimsical, over grown look. We filmed into the early hours of the morning, which is always tough, but Charlotte’s performance never wavered. She’s incredible to watch. I’m really proud of the video and I hope everyone loves it as much as I do! Calling is really the only heartbreak song on my upcoming EP - it's about longing for someone to come back. I had this one line in my head for about two years which I never really fit with anything “so I'm calling out to you, like a wolf in the cold, howling for your love - so close but it’s not enough” and then one day I was in the studio with Jack Grace and it just moulded into this intense ballad - it took me two years to put those emotions into a song, and “Calling” is what came from it. Calling follows her stunning single Over & Over! With her debut EP release on its way, fans will be treated to Eliott’s first ever headline shows next month in Sydney and Melbourne. With her Melbourne show already sold out, fans won’t be disappointed as a second show has now been announced. The promising artist will also be supporting No Mono in Brisbane, Adelaide and Melbourne and is currently making plans to bring her live show to the UK .